SYNOPSIS: Double, double, toil and trouble. Sometimes, the quest for high school royalty can be deadly! In this emotionally-charged twist on Shakespeare’s Macbeth, a self-conscious shutterbug named Skye Kingston navigates a treacherous school year in Alaska fraught with unspoken secrets and tragic twists of fate. Along the way she encounters three strangely prophetic BFFs; one social-climbing, sociopathic cheerleader; and a heart-stopping hottie named Craig McKenzie: the man who would be Prom King. Can Skye save the boy she loves — and herself — before they get caught in the crosshairs? REVIEW: In the second book of the Twisted Lit series, Kim Askew and Amy Helmes brings an interesting adaptation of Shakespeare's Macbeth. As I've said in my review of Tempestuous, I'm not much of a Shakespeare fan; I don't know much about most of his work. 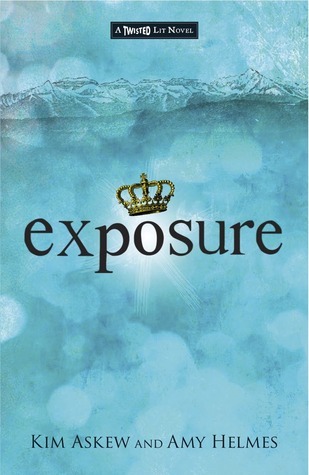 When I read Exposure I tried to do my homework by reading at least a summary of Macbeth. To be fair though, I read their first book and I can say reading Shakespeare isn't really a prerequisite. I just wanted to know if it would have an effect on my reading experience. Turns out, it was even better. Now I'm not sure if it's because I read a plot summary or I really just happened to enjoy Exposure more than Tempestuous. Okay let's get down to it. Since I only read Macbeth's plot summary, the only similarities I saw between the characters in Macbeth and in Exposure are their names. It's fun though, to actually get the play on names (play on words?). It was interesting to read how incredibly diverse the characters were and how they developed throughout the story. I liked Skye and Craig's chemistry in particular. I liked them so much that even if things ended that way, I was okay with it. In fact, I liked how everything turned out. I really liked how Askew and Helmes wrote the (inevitable, slightly tragic) ending. There's such a thing as "cool beans"
Kim has been in love with Shakespeare's plays since middle school (and she's even dated several Hamlet-types). Her mom is thrilled that Kim is finally putting her BA in Renaissance Lit to good use. 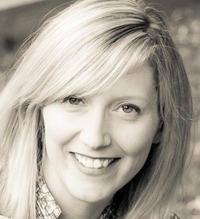 A contributor to the anthology The May Queen, Kim's writing has appeared in literary journals and other publications, including the SoMa Literary Review, Kitchen Sink, and Elle Magazine. She is currently working on her Master's thesis on Henry James at Mount St. Mary's College, Los Angeles. With her friend and Twisted Lit series co-author Amy, she writes the popular blog about book-to-film adaptations, Romancing the Tome. Amy Helmes is the author of Boys of a Feather: A Field Guide to North American Males and Voodoo You Love as well as collection of books for Cider Mill Press that includes The Bathtub Reader, The Good Wife Guide, The Good Husband Guide, Boyfriend Training Flashcards, The Wisdom of Nancy Drew, Lois Lane’s Guide to Life, Betty & Veronica, and Boyfriend Wisdom. She’s a West Coast news editor for the nationally published Soaps In Depth magazine, has worked as a writing consultant for the Oxygen network and is a weekly contributor to The Rundown, a free daily email service that keeps subscribers informed about what’s new and cool in Los Angeles. She has been sugarcoating Shakespeare from a young age, having rewritten Macbeth as an epic rhyming poem in junior high. She can still recite most of it by heart. Great review. I just got a copy of this one and I'm eager to read it. I had to read Macbeth in high school and I really enjoyed it so I hope I enjoy this retelling. Oh I hope you could do a bit of comparison when you get to review it, I really want to find out more. One can only get so much from a plot summary :( haha!